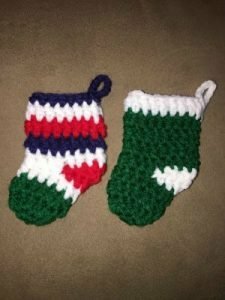 I am decorating our front porch for Independence Day, so I thought that I would do a quick tutorial on how to make a farmhouse garland for Indepence Day. The best thing about this garland is that you don’t have to only use it once a year as a decoration for July 4th. 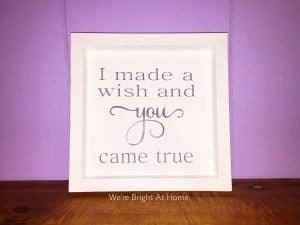 It can be used with your Farmhouse decor all year around. 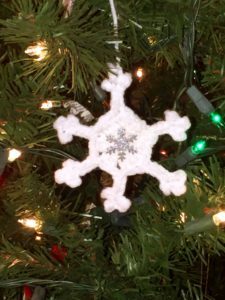 Read on to learn how to make this garland and to learn some ideas to use it for other holidays! My family and I moved into our 2-story farmhouse back in 2010. This house was where my husband, Jim, grew up. Jim and I have been renovating the rooms one by one ever since. 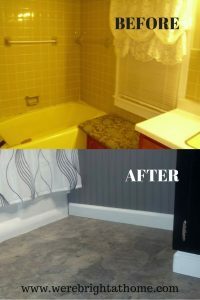 I could not wait to do a DIY bathroom remodel on the downstairs bathroom. As you can see in the picture, it had not been updated probably since the 1950s. There was green and yellow tile everywhere. I had never seen a yellow toilet until I saw that one. There was also a pink toilet in the upstairs bathroom. Nor had I never seen a pink toilet either. 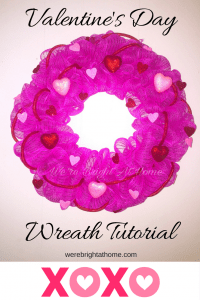 Welcome to my Valentine’s Day Deco Mesh Wreath Tutorial. 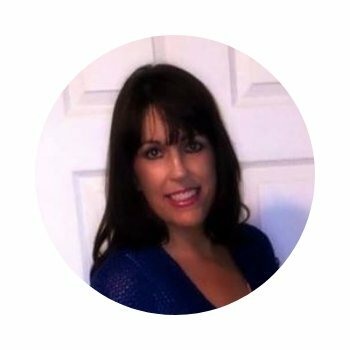 All materials used in this tutorial are from the Dollar Tree. I wanted this wreath to look a little different. So I chose to do it in pink and red. It’s time to clean the carpet! I have been needing to clean all of the carpets upstairs for a while. It’s one of those things that isn’t that big of a deal when you actually start doing it. I have been dreading it because I don’t like the cleaner that the user’s manual for my machine suggests I use. It just doesn’t work and isn’t worth the money. Of course, the book has to make you feel like if you put anything else in your machine other than what they suggest, it will blow up on contact. I decided that I was going to take a leap of faith and find something different, something cheaper and dang it, I want a cleaner that smells better! 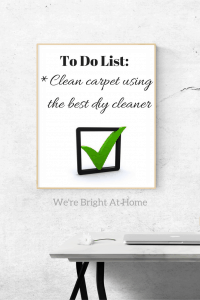 That’s why I chose this easy DIY carpet cleaning solution.